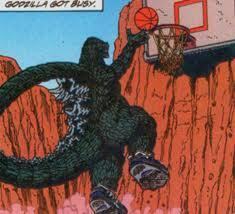 Go Godzilla! Win the 篮球 game!. . Wallpaper and background images in the Godzilla club tagged: godzilla picture images photo basketball.